He had to go through a lot of bureaucracy before making his debut in April 1951. However, it was not long before he became idolised by the FC Barcelona faithful. With Kubala came a golden age at the club. Kubala displayed his skills in the middle of the pitch, where his style of play also highlighted his: Phenomenal physique, technical ability, extraordinary vision of play and by the fact he was a free kick maestro and a leader on pitch. Among other milestones, he holds the all-time record for most goals scored by a Barça player in a league game, with seven goals scored in Barça vs Sporting de Gijón (9-0), on February 10, 1952. With him, the Five Cups team won absolutely everything there was to win in the 1951-52 season. In the years following, he was unable to repeat his form fully, however, this was due to the injuries he received from opposing defences (and the leniency of the referees). In any case, by the end of the decade, he was able to flourish again under the coaching of Helenio Herrera. He retired in 1961, but returned a few months later and continued to 1963. In 1980 he took control of the team as coach, however, success was not achieved. 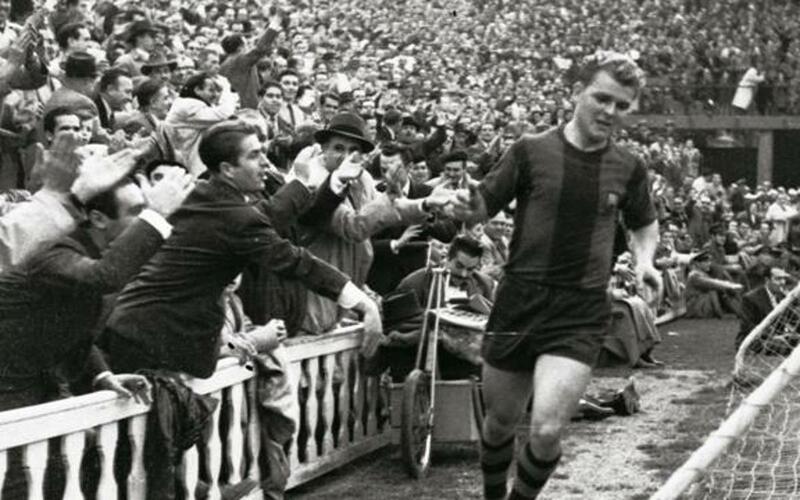 The date of April 24, 1993 saw an emotional tribute paid to Kubala in the stadium in Montjuïc. He died in Barcelona on the 17 May 2002. In 2003 he was given the Gold Medal of Merit by the government in recognition of the work he carried out. On September 24, 2009, a statue of Ladislau Kubala, funded by the Barça Veterans Association, was unveiled in the esplanade in front of Camp Nou. For its part, on June 15, 2012, Vasas SC of Budapest unveiled another statue of Kubala at its stadium. Vasas SC also named its academy after Kubala.